By Simon Dumenco . Published on September 11, 2018. The question "Would you say that Donald Trump is intelligent, or not?" is now a regular fixture of Quinnipiac's surveys about the president. 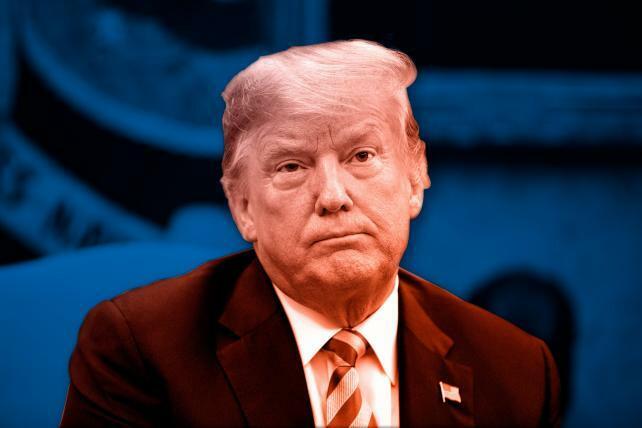 The latest result represents a new low: 51 percent think he's intelligent—down from a high of 58 percent in June—while 42 percent say he's not (rising from 36 percent in June), with respondents saying they "don't know" also trending upward. According to an excerpt from Bob Woodward's Fear ... the Goldman Sachs president turned National Economic Council director came away from his very first meeting with Donald Trump "astounded" by just how dumb the guy was. Defense Secretary Jim Mattis, according to Woodward, told close associates that the president "had the understanding of 'a fifth- or sixth-grader.'" Scott Pruitt essentially called him an imbecile "when it comes to things like the Constitution and rule of law." Former White House deputy chief of staff Katie Walsh reportedly said working with him was "like trying to figure out what a child wants," which feels like an insult to children. And of course, someone "purporting to represent the views" of Cohn sent an email in April 2017 describing the president as "an idiot surrounded by clowns." For another read on "Fear," see "John Oliver Translates Bob Woodward Book: 'The President's An Idiot And We're All Going To Die'," per Deadline. There are a lot of "brand values," so to speak, associated with Trump—among them, outspokenness, brashness, arrogance and so on. But we could be at a tipping point where the prevailing view of the president gets generally distilled down to one thing: He's dumb. That, of course, has happened before (see: George W. Bush)—and historically other presidents have also ended up getting painted, in the popular imagination, with one broad stroke (e.g., Gerald Ford was a klutz, Jimmy Carter a rube, Bill Clinton a horndog, Barack Obama a nerd). All that said, if you want a more nuanced view of what, exactly, might be making more and more White House insiders and everyday Americans question the president's intelligence, here's some context from Ford Vox, a brain-injury doctor based in Atlanta: "I'm a brain specialist. I think Trump should be tested for a degenerative brain disease"—a deep dive published last December in Stat, the health-news vertical from Boston Globe Media. Also from Stat, and also worth reading: "Trump wasn't always so linguistically challenged. What could explain the change?"